A Howard Van Doren Shaw original, this spectacular home rests on 2 acres, the 10th Green of historic Midlothian Country Club. 5,560 sq ft, completely renovated in 2002, this invitation to gracious living includes a designer kitchen, 6 bedrooms, 4 baths, new hardwoods, specialty lighting, coffered ceiling & 3 fireplaces. 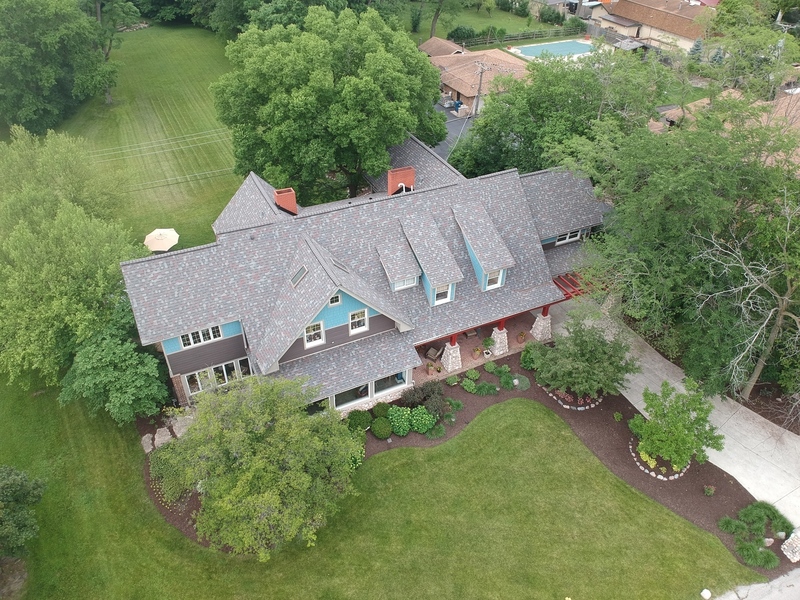 Designed with entertaining in mind, features include 2 separate 2 car garages, beautiful landscaping, security system, deck, hot tub, terrace, fire pit & a huge 12x35&apos; front porch overlooking the golf course. The Master suite has vaulted ceilings, skylights, a sitting room/office & large bath w/jetted tub. Walk-in closets & lots of storage space ideal for a growing family. New HVAC units for multiple zone comfort throughout. Perhaps its most unique characteristic is the beautiful views, offering vistas in all directions throughout the changing seasons. A gardener&apos;s paradise, experience the true luxury of vast indoor/outdoor space.